Jim Lund is to aviation modeling as Ansel Adams is to photography — words fail as their mastery of their art is superlative. I had not known it before the recent temporary exhibit of the San Francisco Airport Museum & Library entitled Oceans by Air: scale models and photographs by Jim Lund informed me that he also made the aircraft models hanging on permanent display within the main museum (use “San Francisco” in the search window to find the posts which have photos of these models). Modelers can show what lacks in photographs, as well as when an image does not exist, but they can also give is a vicarious experience. 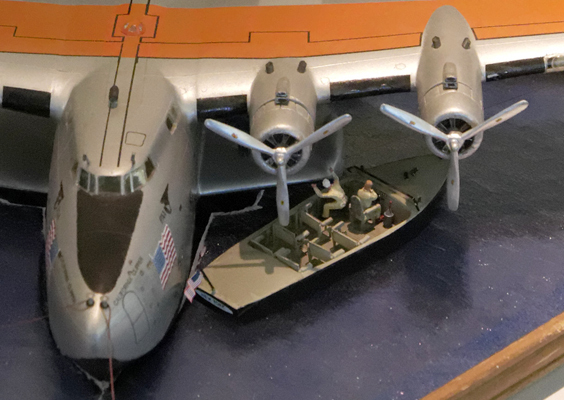 Seeing a diorama is seeing the interpretation of the modeller, much like a portrait artists’s eye on a subject. Here we see a moment on the life of the Pan Am Flying Clipper known as the California Clipper. Cargo and essentials are being addressed by men and a service truck on the pier while a mechanic in a lighter inspects the Boeing B-314 along the port sponson — mundane moments caught by Jim Lund so that we might better imagine what those days were like so many decades ago. 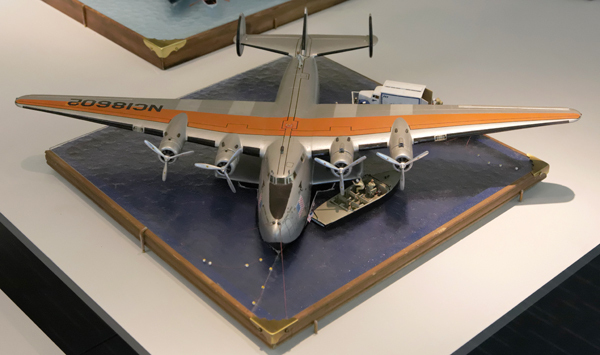 More of Jim Lund’s photos or the aircraft models and dioramas in the Oceans by Air: scale models and photographs by Jim Lund exhibit can be seen here. Great models! By the way, that’s a nice B.O.A.C. VC-10 in the background, with a B.E.A. Comet behind it ! 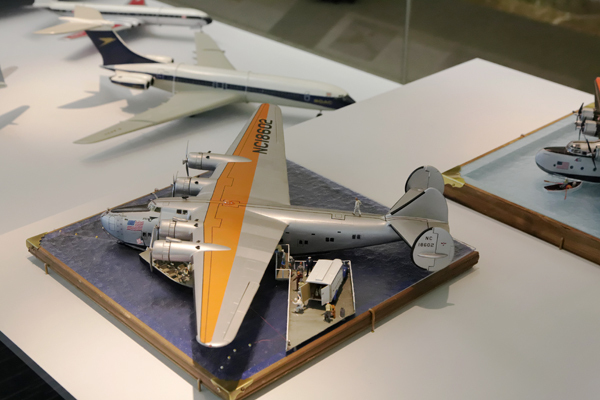 Hundreds of Mr. Lund’s models are currently displayed at SFO museum, International Terminal, including some of his detail composed photographs. Show has been extended, according to the museum’s web site, until March of 2019. This is a wonderful piece of news–thank you! Native American photoblogger Ojibwa visited the model aircraft section of the Planes of Fame museum. His photo diaries are almost always both interesting and make you wanting more. I am pretty sure this is only a portion of the collection. An impressive amount of dedicated work to preserve history in miniature.